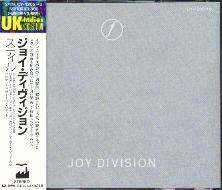 Still was an attempt to sweep up any unreleased tracks along with a live recording of Joy Division's last concert. 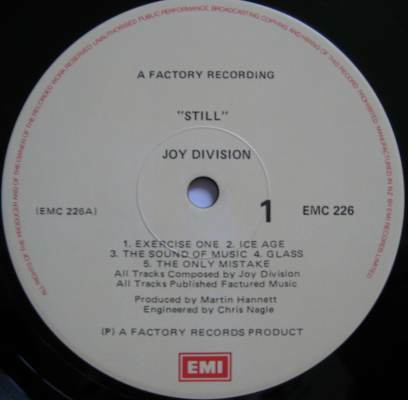 It was released partly in response to the number of Joy Division bootlegs that had appeared and the title alludes to this; the original bootleggers used stills to distil liquor during the prohibition era. 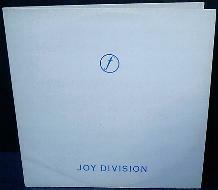 Planned for August 1981, it was eventually released on October 8th that year. 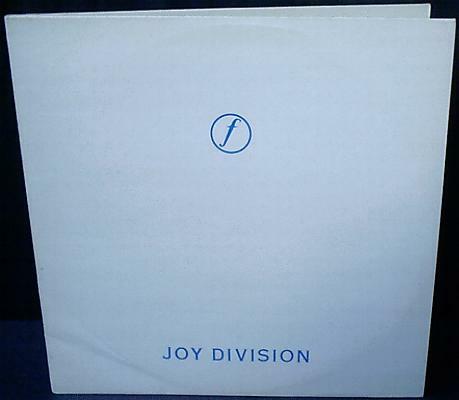 The first pressing was 5000 copies in a hessian sleeve. 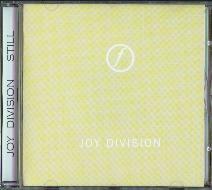 The CD version came out in March 1990. 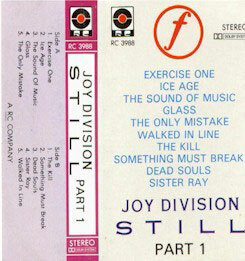 A number of the studio recordings have added post production, including over-dubs by the surviving members of the band. * Not listed on the double LP tracklisting. 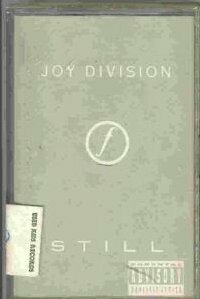 This track is missing from all CD releases. 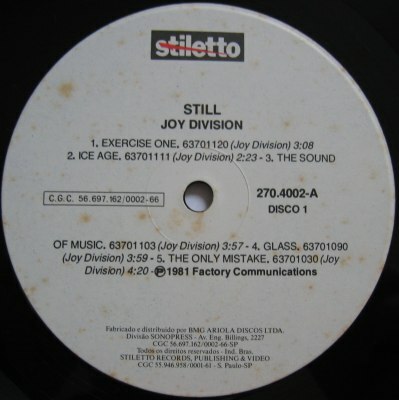 "The chicken won't stop" (side A), chicken tracks across the grooves (sides B & C), "The chicken stops here" (side D). "The chicken won't stop" is from the Werner Herzog "Stroszek" movie. 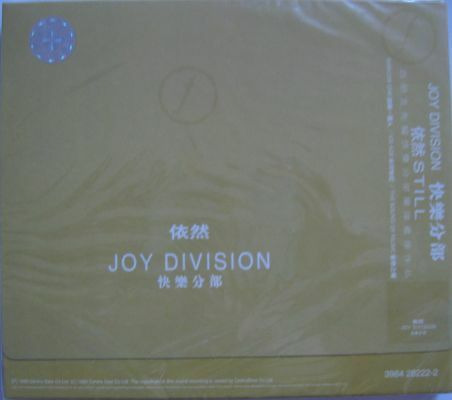 This is the latest release of this album on CD. 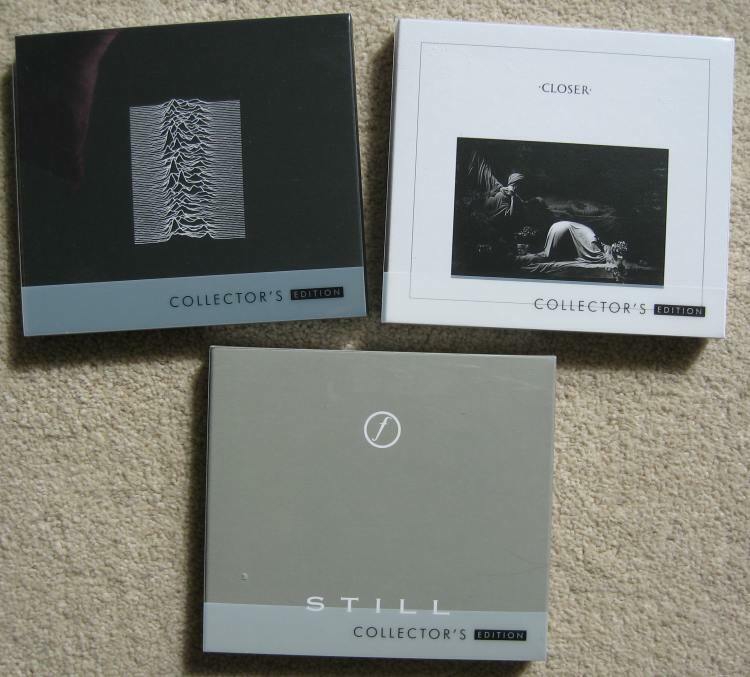 There have been several previous CD versions, all of which were the same as the original LP. 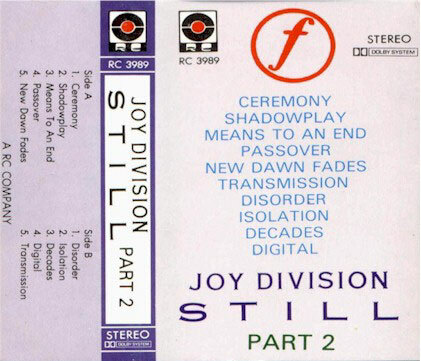 Sleeve design: It seems that Peter Saville changed his mind about the cover design part way through the process and that the Shadowplay bootleg LP (TADD 002) is based on the original design for Still. 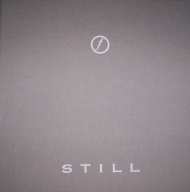 Saville changed direction when he started thinking about the word "Still" in terms of "quiet" or "calm", and went for a more subtle and subdued design. 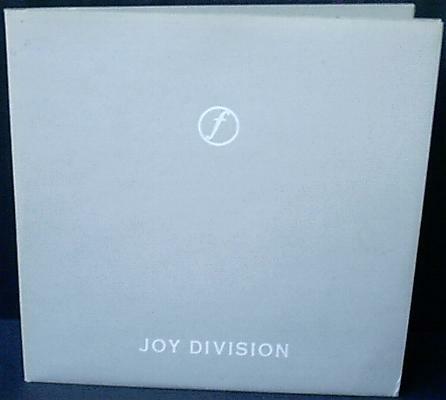 It appears that the original Hessian sleeve version was supposed to include a booklet with photos etc, but this was dropped by Factory possibly because it was too expensive or because they preferred a more minimalist approach. 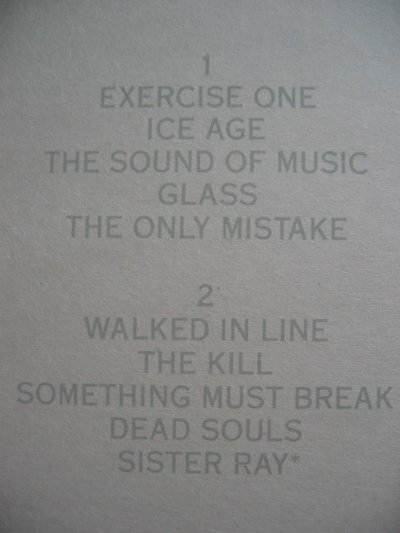 The Kill - track 7, comes as a surprise as it isn't the song you think it's going to be. 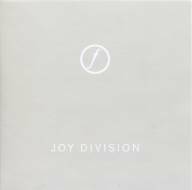 It was inevitable that Joy Division's habit of swapping song titles around would cause confusion sooner or later and this is where it happens. 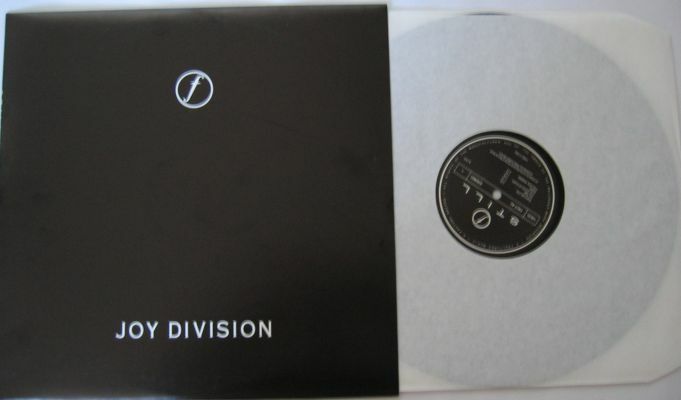 They have two completely different songs both called The Kill - and this is 'the other one'. 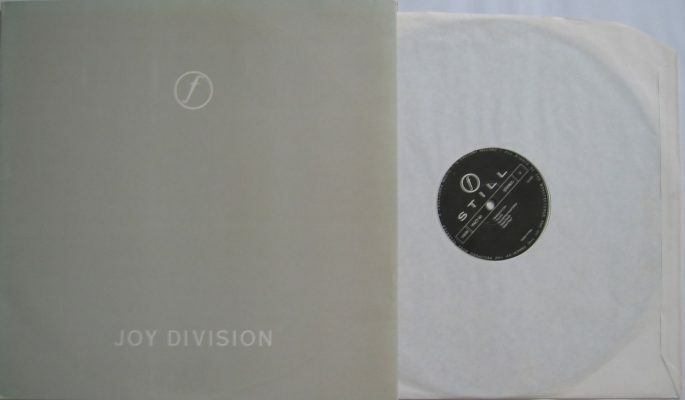 LP versions of this album have 24 Hours (live) as an uncredited 6th track on side 3. 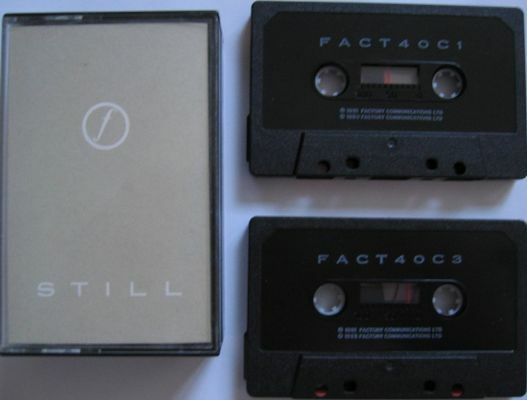 We think the earlier cassette releases had it, while the later versions don't. Side 1: "The Chicken Won't Stop"
Side 4:" The Chicken Stops here"
This is probably a reference to the Werner Herzog movie "Stroszek" from 1977, supposedly the last thing Ian watched on TV before taking his life. One of the last lines in that movie is something along the lines of "There's a dead guy in the cable car and the chicken won't stop dancing". This is shortly after Bruno, the main character in the movie, has shot himself, and there are these animals doing little tricks, like the "dancing chicken". 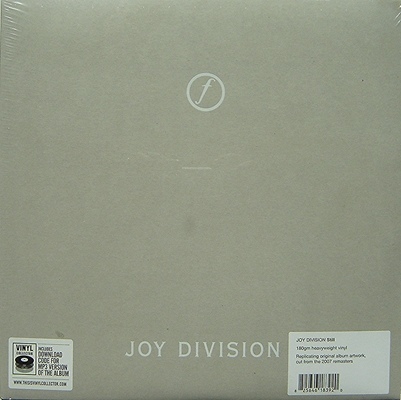 UK FACT40 2007 re-pressing. 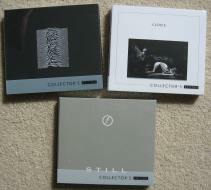 Remastered and on 180gm vinyl. 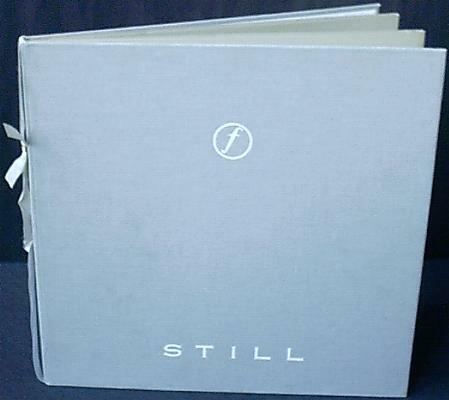 Otherwise identical to the original hardback pressing in hessian folder with white ribbon. 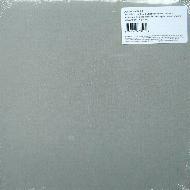 VFact 111-19/20 Lightweight grey card inner sleeves. 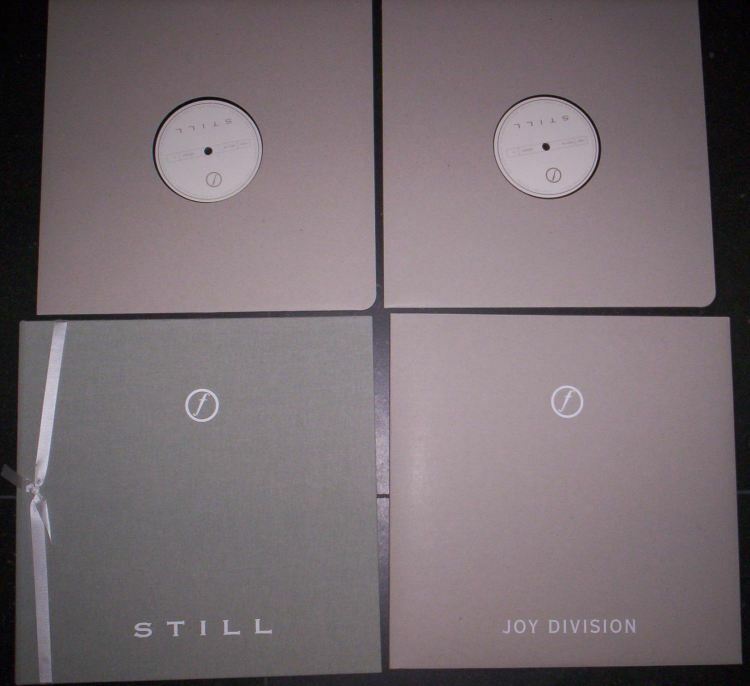 Two different editions Labels may either be green printed on white or grey printed on white. 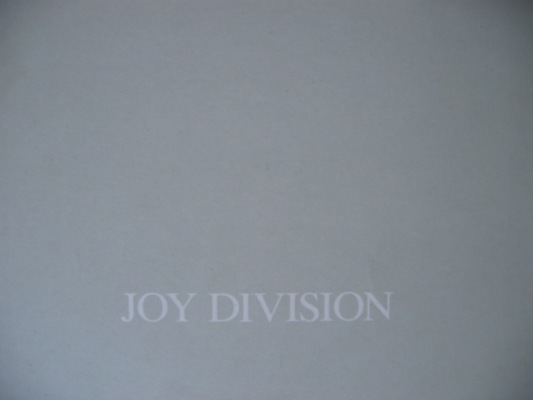 Band name on front cover in different font than the UK issue, and with the letter "J" being slightly bigger than the other characters. 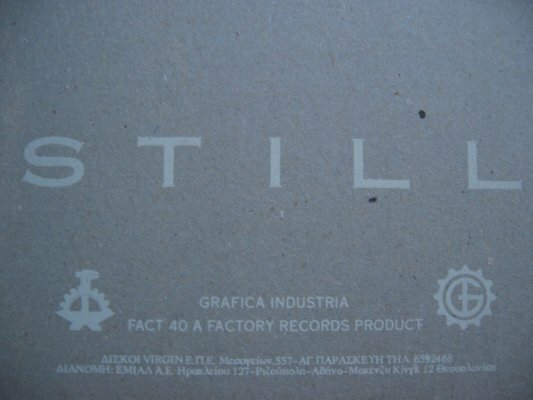 Italy Base Records Initial quantities are mispressed using the wrong master. Studio version of 'Digital' is included as are several different versions of standard issue tracks. EG. -at the end of 'Exercise One' Ian can be heard talking to the control room. 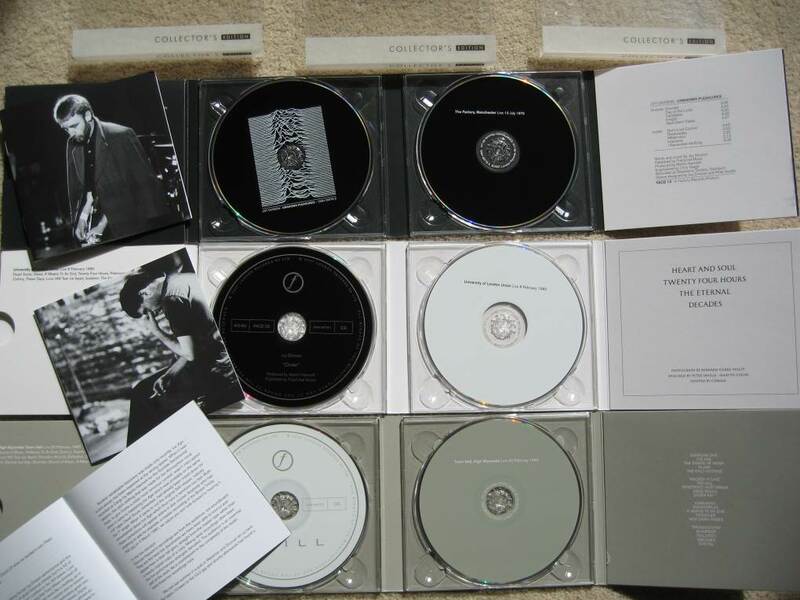 Other tracks were issued on 'Heart & Soul' box set later. 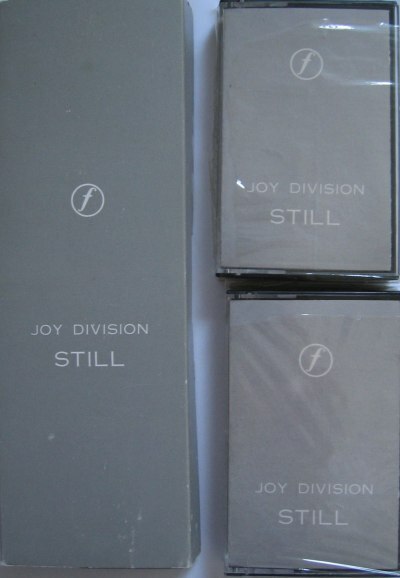 Black labels with white text. 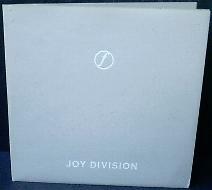 Gatefold sleeve with top opening. 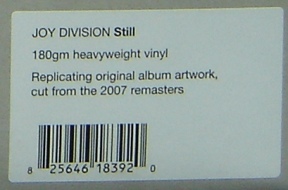 Address on the rear sleeve is shown as 'Base Records Via Castiglione'. However, this address does not guarantee a mispress. The mispress has the matrix number FACT 40 1/FACT 40 2. 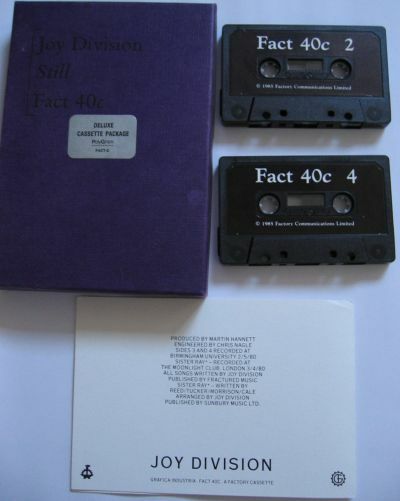 On copies with corrected tracks it's FACT 1/FACT 2. 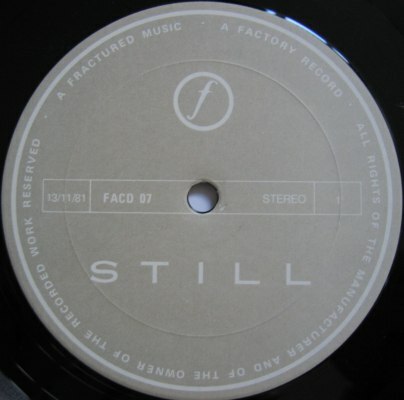 Italy Base Records Repressing with corrected tracks. No street address on back cover, only "Made in Italy by BASE RECORD Bologna". 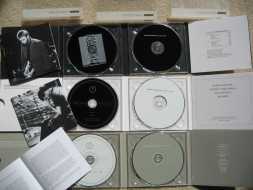 Black labels with white text. 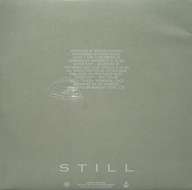 Gatefold sleeve with side opening. 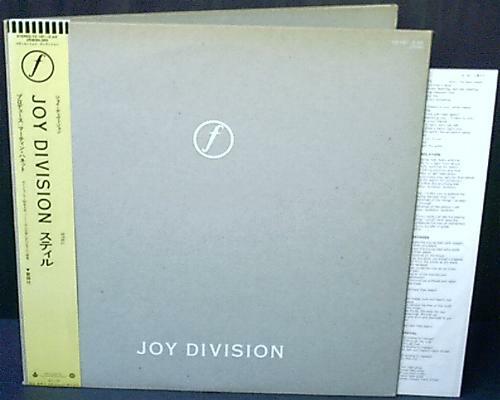 Italy Base Records Re-pressing with corrected tracks. Address now shows as 'Via Collamarini'. 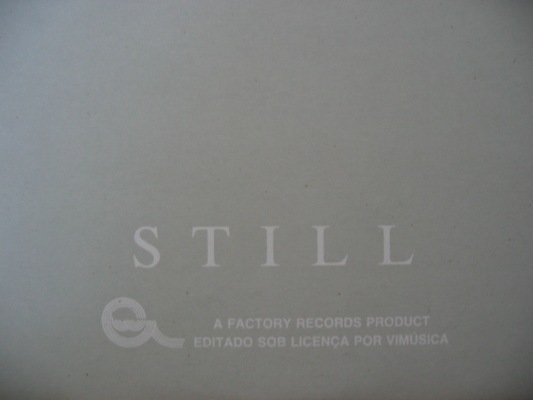 Black labels with white text. 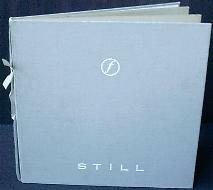 Gatefold sleeve with top opening. 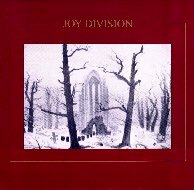 Italy Base Records Later re-issue in single sleeve. 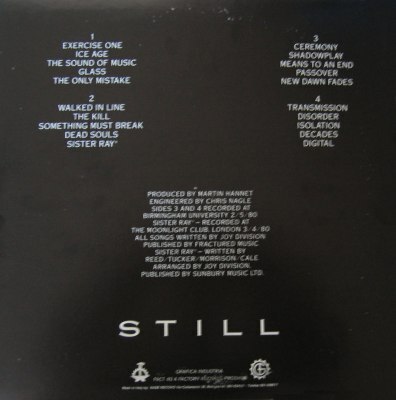 Sleeve is totally different to UK edition, printed white on black with all tracklisting on rear sleeve. Address shown as 'Via Collamarini' and includes fax / phone number. 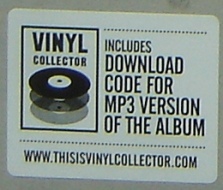 Black labels with white text. 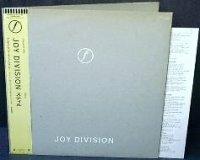 Two slightly different issues; one has "FRACTURED MUSIC" printed on the labels, the other version has a slightly more lighweight cardboard sleeve and doesn't mention "FRACTURED MUSIC" on the labels. 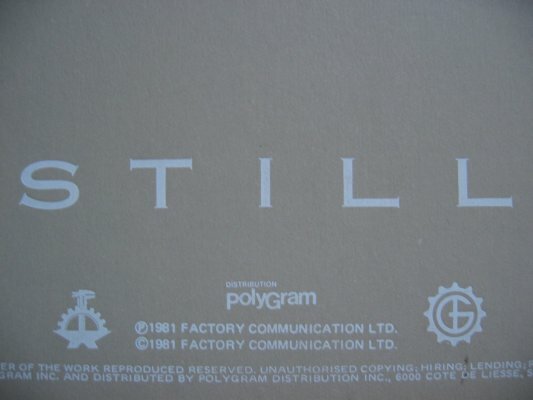 Australia Factory Labels printed silver on white.